Whether you're currently using Angular or not, if you're doing any kind of frontend development these days, you've no doubt heard about this framework. 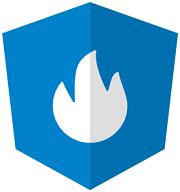 One of the most popular frameworks around, Angular is a TypeScript-based, open-source library for web application development. The Angular ecosystem is huge; there are a ton of tutorials, resources and sites that cover everything from the basics to the cutting-edge of Angular. It can be exhausting to keep up with them all and determine what's worth your time, so we've done the hard work for you. This page collects the best resources we could find, and provides a comprehensive resource for newcomers and seasoned Angular developers alike. Where Did Angular Come From? What's the Latest and Greatest with Angular? Should I Even be Using Angular for My App? OK, I'm In. How Do I Get Started? Looking for just the latest, hottest Angular news? This is the section for you. The Angular world moves fast, and today's big trend is tomorrow's old news. In this section, we've provided an overview of the most active developments and tidbits in the Angular space. If you don't read anything else on this page, be sure to read this section. This wonderful fall weather has blown in with it Angular 7.0.0! We go over all the neat features fully in the "What's New in Angular 7" post. Some of the highlights though include a CLI prompt that guides you through things like creating a new app or adding in Angular Material. We’re pretty excited to see this being used and become more robust in the future. The docs also include CLI documentation now for the first time ever! 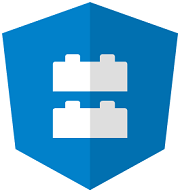 Other changes include: Angular Elements now supporting content projection, minor updates to Angular Material, and improved performance in Angular itself by stripping out the reflect-metadata Polyfill in Production. The Angular 6 release introduced a few new things that are very hot right now. There are Angular Elements, which allow you to wrap any Angular component in a Custom Element and then use it outside of the Angular ecosystem. Plus the new CLI commands, ng add, ng update and ng generate library which are all long-awaited features that everyone is super pumped to try out. We talk about all the new cool things with Angular 6 in section 4 so check it out for more details. In the ng-conf 2018 day 1 keynote, Miško Hevery and Kara Erickson gave us a first look at Angular's upcoming new render engine called Ivy. Angular Ivy has not shipped yet as of 7.0.0, however, you can try it out right now if you’d like. Our Angular advocate, Alyssa Nicoll, did a show with Uri Shaked about the Ivy Renderer where Uri demos giving it a spin. Ivy boasts smaller and faster builds with a simpler compilation pipeline. Part of Ivy's magic is that it has been designed from the start with tree-shakable providers. Basically, if your app doesn't use a feature of Angular, it won't get shipped as part of your bundle. Ivy also only compiles one file at a time, which means faster re-building through incremental builds. Make sure to find out more about how Angular Ivy works. Angular Schematics are being talked about more and more in the Angular community. If you are new to schematics and would like to know more, check out our article "The What and How of Angular Schematics: The Super Simple Version". We go over the basics, like how schematics is just a fancy word for "recipe", and what you can do with those recipes. Schematics can be super useful. You can enable build commands from your library or service with them (like using ng add and ng update)! You can also use them to generate project skeletons with the environment set up with the latest stuff. We even use them here at Kendo UI for Angular. Angular 4.3+ introduces a new way to make HTTP calls with the new HttpClient. HttpClientModule, which is in @angular/common/http, replaces HttpModule (no need for @angular/http anymore!). It features a simplified API, improved testability features, typed request and response objects, streamlined error handling, and much more. There are also improved Observable APIs. No need to map your response to JSON anymore - HttpClient does this for you! Finally, one of the best new features is the return of HTTP interceptors, which were extremely popular in AngularJS for things like adding authentication to outgoing requests. For more detailed information, you can read this article digging into HttpClient's benefits, as well as the updated official documentation. In the Fall of 2017, the Angular team announced "Angular Labs," an umbrella category for many of the experimental and in-flux features the Angular team is working on. The goal is to create a clear dividing line between the stable and production-ready aspects of the Angular ecosystem, while allowing for experimentation and iteration on emerging ideas that may make their way into Angular proper in the future. If keeping tabs on the cutting edge of Angular excites you, definitely keep an eye on everything under the Angular Labs umbrella. Progressive Web Apps (PWAs) represent a new way to approach web development, especially for responsive and mobile web apps. By following a few new web APIs and a number of development practices and guidelines, PWAs are intended to allow developers to build mobile web apps that behave a lot more like natively-installed applications. Why does this matter? Because, in reality, people primarily use native apps, not web apps, on their phones. According to comScore, people spend 87% of their on-device time in native apps, and only 13% on the mobile web. And while we can't completely generalize why this is, native apps have a number of built-in advantages that make users more likely to engage with them over a mobile web experience, including home screen launch icons, push notifications, offline support and better performance. Generally speaking, in the eyes of consumers, native apps are more dependable. But the other side of this coin is that native app usage is highly concentrated among a few apps, for most consumers. Many studies have found that users tend to use only a few installed apps on a regular basis, meaning that all that time and money you are looking to spend to create a fully-native app that mimics what your web app already does might be a waste if you're not immensely sticky. Thankfully, PWAs exist to make it easier for web developers to create mobile web apps that have many of the advantages of native apps, including installability and offline support, without having to creative a fully-native mobile app. For more guidance on building a PWA, or adapting an existing app to the PWA model, you can follow this checklist from Google. There are some good resources available to help take you through the process of creating a PWA, and you can find a great tutorial series here, complete with code samples you can download. Finally, you'll need a UI for your PWA, and what better than Kendo UI with support for PWAs! One of the key technologies in the PWA umbrella is Service Workers. A Service Worker is essentially a programmable network proxy inside the browser, which allows you to "catch" when the browser needs to make a network request and either dispatch the request, or retrieve the requested information from a cache or local store. What this means is that Service Workers enable developers to deliver an offline capable experience by being able to detect and respond to offline or high-latency conditions in an app. Here is an in-depth introduction to Service Workers from Matt Gaunt at Google. Angular has built-in support for Service Workers and this is something you should consider enabling, even if you don't go for the full PWA approach. Service Workers have support in Chrome and Firefox, but are not yet supported in Safari or Edge. That's about to change, however. As of version 11.1 for desktop and 11.3 for iOS, Safari will support Service Workers, which is a huge boon for mobile web developers building PWAs. Edge version 17 should provide support for Service Workers, as well. 2. What is Angular, Anyway? Even if you're not yet using it, you've certainly heard a lot about Angular over the last several years. But what is it, really? And where did it come from? In this section and the next, we'll provide a gentle overview of core concepts in Angular, and a bit of its history. Nearly everything in Angular is a component, including the root element of your application itself. Whether a custom element you create or an entire single-page app, everything in Angular is either a component, or a collection of components. There are aspects of Angular that are not components, per se, but the component is a central concept to the framework, and represents the majority of what Angular developers will write and work with when creating an Angular app. Components are the #1 key concept and are also a common foundational feature in other frameworks as well. Take a look at this comparison of components in different frameworks for additional info. One of the toughest aspects of building a complex application is dependency management. Not only because complex apps tend to have a lot of dependencies, but also because our traditional approaches of including dependencies in our apps - via in-line imports and declarations - tend to be brittle and create a lot of places to touch when dependencies need to be updated or changed. In contrast, Angular uses something called Dependency Injection (DI) at its core. With DI, developers declare dependencies in a central location or locations, and when new objects are created, dependencies are automatically created and "injected" into the app. DI can be a daunting topic for newcomers, but is quite elegant and powerful once you grasp it. Thankfully, the Angular team has a great resource you can code along with to learn how DI works in Angular. Property Bindings have been a key construct of single-page apps (SPAs) from the beginning, and Angular is no different. Central to the framework is the idea that app data is separate from presentation logic, and that changes to data should automatically update every place where that data is displayed or used in an app. This is accomplished through property bindings on templates in custom elements. By default, Angular bindings are one-way, though two-way bindings are supported using the ngModel directive. 3. Where Did Angular Come From? It's hard to believe that Angular has been around for almost 10 years, but it's true! 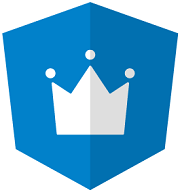 There's a great article that covers much of the history of Angular, but we'll give you a quick overview here. As with many great tools and libraries over the years, Angular started as a side project. In 2009, Miško Hevery and Adam Abrons released a a project they called <angular/>, a library meant to help developers and designers build web apps with simple HTML. The name "Angular" was inspired by the angle brackets (<>) that surround all HTML tags like <div>, <script> and <ol>. "We wanted to see if we could make it easier for Web designers, not necessarily Web developers, but Web designers, to sprinkle a little bit of extra HTML into their code so that they could turn a static form to something they could actually send in an email. The idea would be that you could [for example] have a mom-and-pop shop that sells pizza or something, maybe you could [have] a simple ordering system just by adding a bunch of these tags and they could send an email to the server." Soon after releasing Angular, Miško began working at Google. By 2010, he was working on the Google Feedback application and he convinced his manager at the time, Brad Green, to give Angular a try during a rewrite of the application. In that single project, the amount of time and code the team saved was plenty to convince Google of the power and potential of Angular. 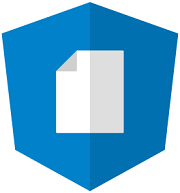 On the heels of the Google Feedback rewrite, the team open-sourced the library that Angular had grown into over the course of the project, before officially releasing v1.0 in May of 2011. Adoption was fast and furious, and today Google boasts that over 1.5 million developers use Angular. Angular was originally released as AngularJS - the 1.x version. Anything with a 1.x version is still referred to as AngularJS. There are still many projects using AngularJS, but the final release is coming in mid-2018 and it will enter long term support mode at that point. The 2.0 version represented a complete rewrite of the library and, as such, is referred to simply as "Angular." But What Does Angular Do? Angular also provides a number of conventions for you to use when approaching your own app development. These conventions, or opinions, can be especially helpful for large teams working together on a single code base. Angular provides a very comprehensive style guide with a number of options that cover nearly all aspects of modern web app development. For more information about the "what" of Angular, there's no better place to start than the Angular home page. 4. What's the Latest and Greatest with Angular? As of version 6, you are able to use Angular Elements. Rob Wormald (on the core Angular team) came up with the idea for Angular Elements and it has gotten quite a lot of attention as well as anticipation. Finally, the long-awaited elements can be ours! All you need to do is upgrade your app to version 6 to use them. Angular Elements, in case you haven't heard, give us the ability to use our Angular components in other environments outside our Angular apps. Elements take an Angular component and wrap it inside a Custom Element (aka DOM element), allowing us to use our Angular components in other projects that don’t have the full Angular ecosystem! 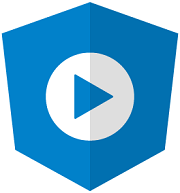 Check out more details on getting started with Angular Elements to learn how you can use them in your apps today. Another big addition as of Angular 6 was the tree component for displaying hierarchical data. You can have your pick of styled (Material's mat-tree) or unstyled components (CDK's cdl-tree). Tina Gao recently gave a talk about Angular Material's trees at ng-conf, so check that out for more juicy details. Other than the tree component, there are also two other new components, the badge and bottom sheet components. The badge component is as you imagined, a small badge hovering at the top right or left corner, indicating a number. Badges are commonly used to indicate unread items or actions left to do. The bottom sheet component is a service that allows you to open up a panel on the bottom of the screen, as seen in the below gif. These bottom pop-up panels are meant for mobile. They are designed to offer a list of options after a specific action is taken. When you press a button, for example, more options pop-up in this panel from below. Pretty snazzy! The @angular/cdk/overlay package is where the magic happens, and the reason why we are able to have such nifty pop-up panels in version 6. This package has new positioning logic that smartly tells the pop-ups where to be on the screen in all situations. There are many more updates to Angular Material, including a new Sidenav, Dashboard and Data Table. You can see more of these on the Angular Material's website. As of version 7.0.0, Angular Material and the CDK got a few updates! Angular Material will have some minor style differences as they sync up with the latest Material spec. Angular Material also now supports selects inside the mat-form-field which means better accessibility! Have no fear though, they will also still support mat-select. The CDK also now has Drag & Drop which will automatically render items as the user moves them. It’s a pretty smooth Drag & Drop, I must say! ng update is a lovely new CLI command that will look at your package.json and tell you what things are out of date. It truly is the bee's knees. The Angular team also recently came out with this awesome update guide to help you out with updating your versions. ng add is another new CLI command that everyone is raving about. It allows you to add new dependencies to your app with a single command. It utilizes a schematic script that will tell it what config changes to make, any extra dependencies to install, or even what scaffold out initialization code specific to the package you are downloading. The CLI now supports multiple projects under one roof (or workspace as some like to call it). Instead of the old .angular-cli.json files, we now use angular.json files for our CLI build and configuration. This command will generate a library within your workspace. It will be configured for testing and building right out of the box. 5. Should I Even be Using Angular for My App? Can or should I migrate from AngularJS (1.x)? What about React and Vue? Should I use those instead? Let's look at each of these questions, in turn. Can I Migrate from AngularJS? Another common question comes from developers and teams that adopted AngularJS versions in the 1.x timeframe. In the early days of the rewrite, the official word from Google was that there would be no migration assistance or tooling provided for those looking to go from AngularJS to Angular 2 and above. Thankfully, the team has since backed away from that stance, and there are a number of migration resources available. While we recommend moving to Angular 2+ when starting new projects, we recognize that, even in these cases, there are likely legacy modules and features that you'll want to carry forward. Quite a bit has been written on migration. For an overview on the ins and outs of migration, take a look at this blog post on migration methodologies. Or, for more detailed tutorial on migration, check out this comprehensive, step-by-step video course about ngUpgrade at UpgradingAngularJS.com. What about React and Vue? Finally, if you're evaluating web frameworks, you're probably considering React and Vue, along with Angular. And while this page is targeted towards the Angular ecosystem, we recognize that Angular doesn't make sense for every type of app and every team. 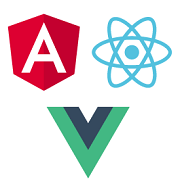 There are many factors to evaluate when selecting Angular, React or Vue. And while there are areas where the libraries stack up well against each other, there are some where one is a clear choice. More importantly, the context of your organization, the needs of your customers and the skills of your development team should factor heavily into the framework you choose for your next app. With that in mind, here are some bullets to consider when making a choice between Angular, React and Vue. If your organization needs long-term support and a security focus, Angular is the best choice. As with most things, your context is key, here. There is no incorrect choice between Angular, React and Vue, so long as it is informed by your needs. As you consider your choice, we recommend this whitepaper for an in-depth comparison, as well as this video, which provides an overview of a few other popular web frameworks. As webpages got smarter and smarter and morphed from a static display of information to interactive experiences, the overall structure changed as well. A series of interlinked HTML pages began to be replaced with fewer and fewer pages that were able to dynamically change what was being displayed. Eventually, all functionality started to be stuffed into what is - literally - a single page application (SPA). Downsides? For starters, goodbye usable URLs. No more linking to specific "bookmarks" in the flow like "mysite.com/products/training_bat," for example. Your SPA only has one URL - "mysite.com." And creating content on the fly programmatically is almost thumbing your nose at Google and daring it to try to figure out what's actually on your site. Still, there are ways to get around both of these with a little care. 6. Ok, I'm In. How Do I Get Started? Assuming you've decided to go with Angular, you're probably ready to jump in and get coding. Before you do, however, we suggest taking a few minutes to plan out your Angular app and think through some of the key decisions you'll need to make as you build out your app. Your targets and distribution strategy - are you building a mobile app, a PWA? Once you have considered these factors and more, you're ready to roll with Angular. Thankfully, there's an extensive quickstart and some awesome docs. In 2018, building a web app isn't just about creating something that's functional. In fact, nowadays, if you have an app that works with a terrible user experience, you might as well not have an app at all. Fortunately, there are some great options for helping you put the best face on your app. Two of the leading options are Angular Material and Kendo UI for Angular. The "Material" in Angular Material refers to Google's Material Design language, a set of design patterns and styles that Google uses for its mobile, desktop and web apps. It has become quite popular for both Android and iOS and the Angular Material library provides an extensive color palette, components, animations, icons, gestures, and more. The Kendo UI library for Angular consists of native Angular UI components, built from the ground-up for Angular and not based on jQuery or other libraries. Performance and Speed: the components are engineered specifically for Angular, enabling them to take full advantage of the framework's native performance capabilities like Ahead of Time Compilation (AOT), Angular Universal, and Tree Shaking. 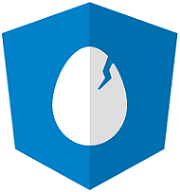 Installation and Updates: Kendo UI for Angular is installed as discrete, scoped npm packages. It is easy and unobtrusive to get the latest bits: no need for time-consuming installations. This also means that the latest code is always available immediately. We've been doing this for a long time. Progress has been creating UI components for 15 years. Kendo UI has been used in tons of apps so you get all this experience and user feedback folded into the Kendo UI Angular components. If you are interested in getting started with Kendo UI for Angular, Alyssa Nicoll did a video tutorial on exactly this. Check out her videos for a hands-on demo of the Kendo UI components for Angular. If you have already dove in and want the next level of assistance, read about the significant speed boost of the Angular Grid and learn how to update to its latest version. The web world moves fast, and Angular is no different, so if you jump into the ecosystem, you should know how to keep up-to-date. Angular 7 has just arrived. Neel Bhat provides a step-by-step guide to creating an Angular 7 app using ASP.NET Core SPA templates in Visual Studio 2017. Angular bindings are a super-powerful mechanism built into the framework. Unfortunately, it can be difficult to remember when to use which binding. Alyssa Nicoll's post on the types of Angular bindings will help. A step-by-step guide to use nested forms in Angular 6 and up! This resource was assembled with the hard work of many people, and we want to recognize John Willoughby, Alyssa Nicoll and Brandon Satrom for their contributions as co-authors. Questions or comments for any of them? Let us know in the comments below.